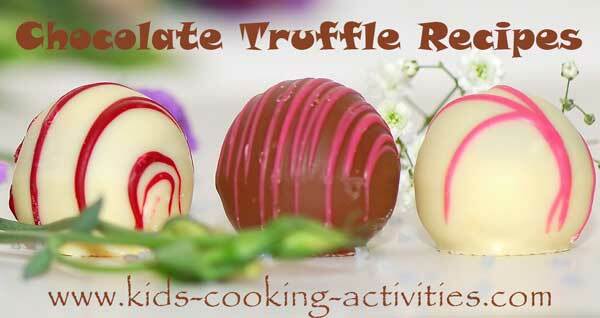 A collection of chocolate truffle recipes as well as a pumpkin truffle. Whether you are looking for dark chocolate, white or milk chocolate you can change up these recipes to be what you are looking for by changing your dipping chocolate. 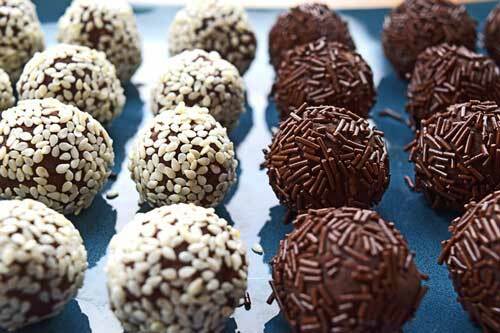 Do you have a favorite truffle recipe? Share it below! Crush Oreos in a baggie and place crumbs in a mixing bowl. Stir in cream cheese until well combined. Roll into balls and place on a cookie sheet. Freeze for 15 minutes. Melt chocolate in a microwave safe dish and stir every 30 seconds. 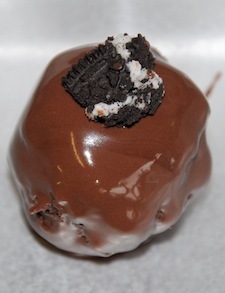 Dip oreo balls into chocolate with a small spoon swirl around to coat. Place on a waxed paper lined cookie sheet. 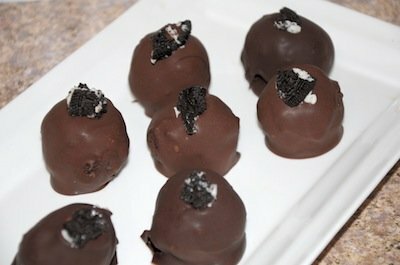 Top with Oreo crumbs. Chill. In a microwave safe bowl melt butter and chocolate together. Blend together. Stir in sugar and vanilla. Chill in the refrigerator until cool enough to touch. Butter your fingers and shape mixture into small balls. Place chopped nuts in a shallow bowl or plate. Roll balls into chopped nuts. Chill again and keep in the fridge. • Make sure you first wash your hands well before you cook. In small mixing bowl, scoop up the peanut butter into the bowl. Stir well until soft and creamy. Pour the Kisses into the bowl on top of the peanut butter. Again, stir until mixed well together. We used mini baking M&M's for this pictures Make sure your hands are clean. Now, form small balls with your hands, and place onto a small cookie sheet. Put in freezer 10-20 minutes. 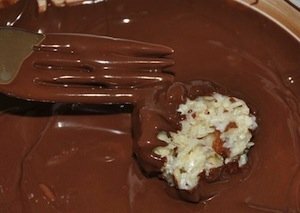 Melt chocolate and dip balls in. Chill. 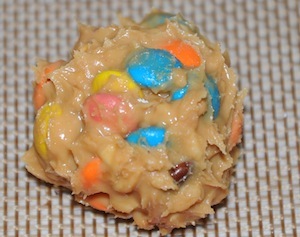 Peanut Butter Truffles topped with a mini M&M. Mix the condensed milk with cocoa (it could be less or more cocoa depending on how dark you like your chocolate! 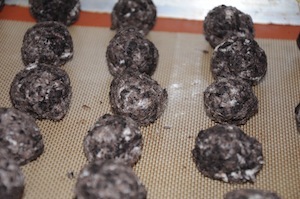 ), add the cookies until you have a consistent dough to make little balls. You can add crushed nuts or sprinkles at the end to cover the balls (rolling them on the nuts or the sprinkles) and enjoy! 1) Put the biscuits into the mixing bowl and with the rolling pin crush the biscuits to crumbs. 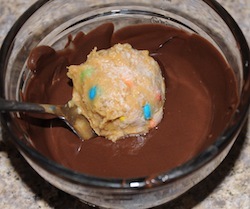 2) Put the chocolate into the other bowl then heat in the microwave for 30 seconds or until melted. Now add 3/4 of the chocolate to the crumbs and mix. 3) Shape the mixture into a ball shape and if it doesn't shape into a ball add the rest of the chocolate. Now add some icing sugar so it doesn't stick to your hands. 4) Take a small amount of the ball and roll into small balls you should be able to make about 40. Now pour some of the sprinkles onto a saucer then roll them in the sprinkles. In a medium bowl, add cookies, almonds, cinnamon and powdered sugar. Stir together and add chocolate chips. Add in pumpkin puree and apple juice. Stir to combine all ingredients. If you use your hands you will be able to combine easier. Roll into small balls. Place on a sheet of wax paper or cookie sheet and chill for several hours. 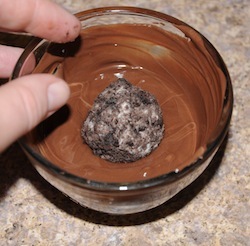 **If you'd like to dip truffles in chocolate, melt more chocolate chips. 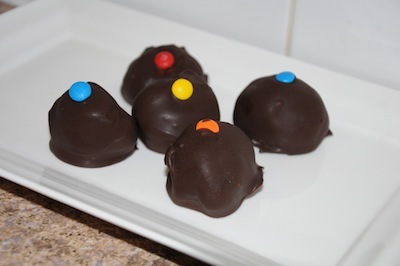 Dip chilled balls in melted chocolate, place on wax paper and chill again. **You can also roll in powdered sugar or more chopped almonds. Please note: If you leave out the Apple Juice the truffles will set up faster, you may add a little butter also. The butter will set up in the fridge quickly.